A little late for this post, since I have been using this product for a few months now. “Fit Me! 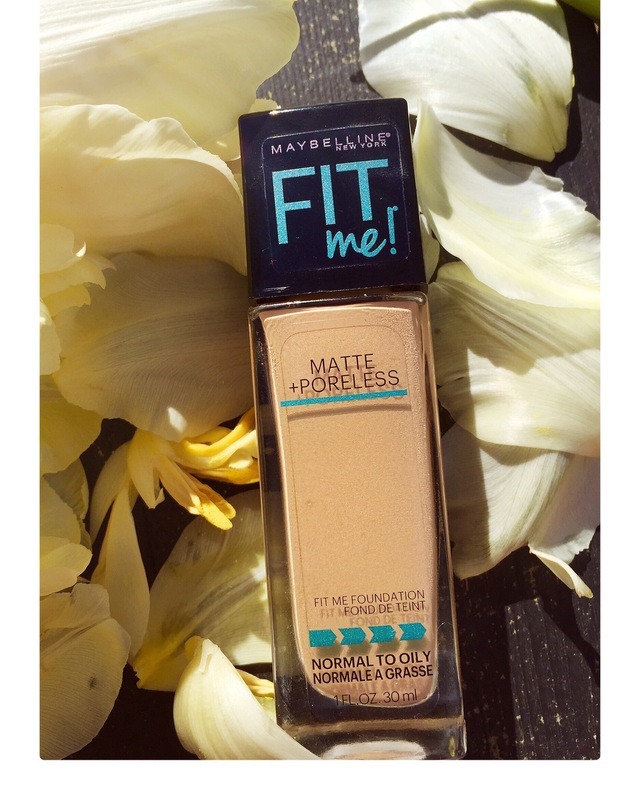 Matte + Poreless from Maybelline New York goes beyond skin tone matching to fit the unique texture issues of normal to oily skin for the ultimate natural skin fit. contains genius blurring micro-powders that erase pores and absorb oil for a naturally matte and poreless-looking finish. There are around 24 shades of this foundation which makes it possible to find a shade for all skin tones. The Dewy + Smooth formula has 14 shades and also contains SPF 18. It is very bendable and easy to apply. I either use a foundation buffer brush or sometimes even my fingers and it goes on very smoothly. I always set this foundation with a translucent powder (my holy grail : Laura Mercier Translucent Setting powder) because it does oxidize on me and also use a primer for the same reason. It gives light coverage which I can build it up to medium. I usually reach for it when I don’t really feel like wearing a lot of makeup and when I don’t have a very long day ahead of me. It usually lasts 4-5 hours (sitting in an office). It doesn’t break up after, that just sort of fades away. It gives a beautiful finish and doesn’t make my skin look dry or crappy. Does it live up to the claim? It does not clog my pores or make me break out which is a huge plus. But at the same time I don’t find it does anything miraculous for my pores. I quite like this foundation for what it offers in the price. Its a great beginner foundation or if your looking for a light-medium coverage every day foundation. One of my friend who has oily skin swears by this foundation and wears it everyday, it’s her holy grail.